2nd April 1739 when John Wesley first began field preaching.3 Later he went on to say: "To this day field preaching is a cross to me, but I know my commission and see NO OTHER WAY of preaching the gospel to EVERY creature." 9th May 1739 when Wesley decided to build the first Chapel. And what about 1787, when Wesley was forced to license his Chapels and preach under the Toleration Act, thus making Methodists dissenters in the legal sense. Whichever of these, Methodism as we know it today stemmed from John and Charles Wesley. The sons of an Anglican vicar, they received a "Church" education with a non-conformist bias as both their grandfathers and one of their great-grandfathers had been expelled as "dissenting" ministers under the 1662 Act of Uniformity. During this part of the 18th century, there had been a general decline in religion in favour of lax morals, in both the Established and Non-Conformist Churches. It was against this background that, while at Oxford, John Wesley, a fellow at Lincoln College, with his brother Charles, founded the "Holy Club" which met between 1729 and 1735. They were strictly devoted to prayer, Bible Study, taking communion every week, fasting regularly, and abstaining from luxury. They regularly visited the sick, the poor, the imprisoned. This methodical approach to living, seeking to reproduce the lifestyle of the earliest Christians, led to the pejorative name methodist. John Wesley started to preach his vigorous and revivalist message from the pulpit of any Anglican vicar who did not object to his style or message. However, resentment soon flared up, particularly over the large congregations he attracted, and he was banned from preaching in an ever increasing number of Churches. These two factors, large congregations and non-availability of pulpits, led to the advent of the open-air meetings which became a symbol of early Methodism. 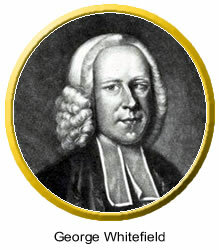 George Whitefield, a fellow student at Oxford, became well known for his unorthodox ministry of itinerant open-air preaching. The movement spread, with a significant number of Anglican clergy joining them in the mid-18th century. Societies were common in that period, and, against a background of decadence, Wesley set up Societies to seek a deeper holiness of living. This was not seen as breaking with the Established Church. Preaching served to recruit people to the Society. Only as Societies began to organise themselves as more than a mid-week gathering seeking holiness, and offering worship on Sunday, did the breach with the Church begin to appear. Indeed, Wesley wanted to stay within the Anglican Church. 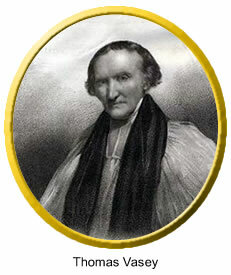 Eventually however, the Toleration Act, mentioned above, forced him to license his Chapels and preachers, thus making Methodists legally "Dissenters". 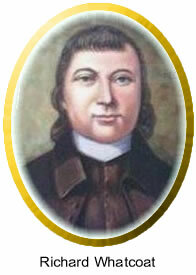 At the Methodist Conference at Leeds in July 1784, Wesley ordained Richard Whatcoat and Thomas Vasey as Elders, and then on 1st September as Deacons at Bristol, sending them out on a mission to the new Americas with Thomas Coke, (an ordained Anglican priest) whom Wesley also ordained and sent as the Superintendent Minister. (Richard Whatcoat later became the third Bishop of the American Methodist Episcopal Church.) Methodism spread worldwide, and now the real strength of contemporary Methodism is outside the British Isles. Just as there was no specific "launch" date for the Methodist Church, likewise there was no specific date for the break with the Established Church. When John ordained Whatcoat and Vasey, his brother Charles maintained that "ordination means separation". Many consider that Methodism only became a separate denomination in England after John Wesley's death in 1791, perhaps in 1793 when Conference allowed Methodist preachers to administer the Sacraments, previously the preserve of episcopally ordained ministers. Whatever the date, the Methodist Church was well and truly founded and outside the Established Church by the beginning of the 19th century. The path of the young Wesleyan Methodist Church was not always a smooth one. Alongside petty persecution by the established Church, there were frequent internal troubles. The first split came in August 1797, shortly after John Wesley's death, when the Methodist New Connexion (MNC) was set up formally in Leeds. This came after the Wesleyan Methodist Conference refused to discuss aspects of the constitution of the governing body, such as the lack of participation by the laity in the government of the Church at Circuit, District and Connexional levels. 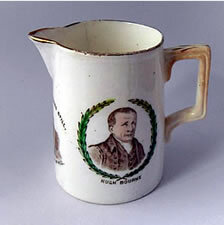 The MNC took root in the Midlands and North of England. However, the 19th century also saw movements towards unity. 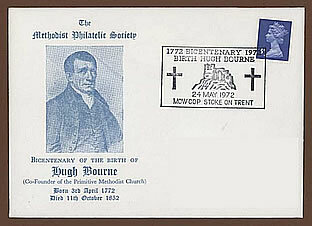 In 1836, the Wesleyan Methodist Association was joined by the Protestant Methodists, then in 1837 by the Armenian Methodists and the Scarborough Independents. Discontent with the authoritarian attitude of Conference grew, and some very critical articles were published in the 1840s. Conference ordered all ministers to express their disapproval of these articles, and those who refused to comply were expelled by the 1849 Conference. Disagreements over this decision led to a third of the membership, around 100,000, leaving Wesleyan Methodism or being expelled. One minister, James Everett, responded by forming the Church of Wesleyan Reformers, which in 1857 united with the Protestant Methodists to form the United Methodist Free Churches, with an initial membership of 40,000.9 However, instead of joining, some of the Reformers became the Wesleyan Reform Union. There were no further moves towards union until the turn of the century when conversations took place between various branches of Methodism. In 1907 the Methodist New Connexion, the Bible Christians and the United Methodist Free Churches came together to form the United Methodist Church. Further conversations took place, but it was not until the late 1920s that real progress was made, resulting in 1932 in the formation of The Methodist Church with the union of the Wesleyan, Primitive and United Methodist Churches. The impact of the Act of Union in 1932 within the Thames Valley is considered in the follow-up histories in this series. Over the years, the way the Methodist Church is organised, has evolved from nothing to its current structure. The early Methodists established Methodist societies wherever they went. These were divided into classes — meetings where individuals were encouraged to confess their sins, to build each other up and to share their testimonies. The societies and classes met in members' houses or in the open-air / field preaching; Churches and Chapels came later, and in some societies, not at all. 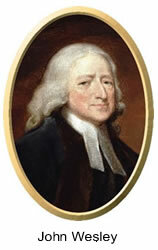 Today's system still uses many of the structures introduced by John Wesley. These are designed to enable decision making that takes account of all concerns and views within the Church. No one has supreme authority. At the same time, Churches cannot simply arrange their own affairs, but have some shared disciplines and ways of working. There are four levels in the structure of the Methodist Church in Britain. Just as decisions within the country are taken at different levels, such as Parish Councils, Borough Councils, Parliament, so each level in Methodism has its own decision-making body. The local Church is the congregational place of worship, which members attend. This may be a Methodist Church or part of a Local Ecumenical Partnership. A Circuit is a group of local Churches, served by ministers and Local Preachers. There are 12 Churches in the Thames Valley Circuit. The minister in charge of a Circuit is now called the Superintendent Minister. The District serves a geographical group of Circuits and is led by the District Chair. The Thames Valley Circuit is one of about 30 in the South East District, which covers Kent, Sussex, Surrey, and East Berkshire. The whole of the Methodist Church in Britain, comprising about 30 Districts. At first, ministers were stationed for one year, though they could be re-appointed. Today's stationing process matches vacancies with available ministers, with invitations issued by the Circuits for a 5-year appointment. However, Conference still has the final say, and may direct a minister to a particular station. In addition to listing where each minister in the Circuit could be found or was expected, the Circuit Plan detailed much more, such as scheduling Local Preachers or, for ministers fortunate enough to have a horse, where it could be stabled. The companion page, A Brief History of the Thames Valley Circuit, follows the story for one special Circuit! Why not find out more by reading that and the illustrated history of each of its Churches on this website? Major Branches of Religions Ranked by Number of Adherents. The Journal of John Wesley edited by Percy Livingstone Parker (STL Productions), page 64. Windsor and Maidenhead Wesleyan Methodist Church Records, held in Berkshire Record Office, Reading. Grappenhall Independent Methodist Church, A Short History by Alfred Pridden (1973). Methodism in Maidenhead, 1829-1979 by Peter Hardiment, ISBN 0 86023 111 9, includes plans on pp 24-25 and the inside covers. For more information about the history of Methodism, and its heritage sites and historic chapels, visit the Methodist Heritage website.